Chris’s bills went down by a total of £860 after he had switched his energy twice. 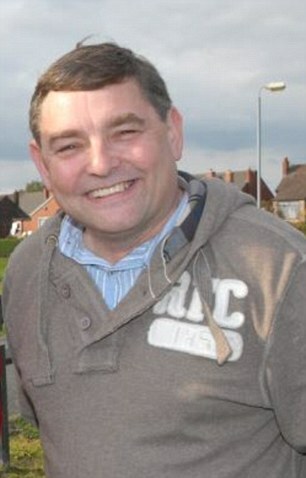 Councillor Chris Ready had been a British Gas customer for more than 25 years and had never considered switching to a different energy firm. Mr Ready, 55 of Wigan, was stuck on the most expensive standard variable tariff that customers were rolled on to post-privatisation. Finally, after spotting a switching incentive on a cashback website he switched to Eon, which he said was straightforward and quick to do, and his bills dropped significantly as a result. A year later when that tariff ended he then switched to First Utility, saving a total of £780 on his original British Gas tariff which he used to pay for a flight to Australia to visit his daughter. Switching energy firms is one of the easiest ways to make a significant dent in annual bills, yet overall switching numbers are generally low. As Mr Ready used the website Topcashback, he saved a further £70 – £50 for the first switch and £30 for the second switch – and in a few easy steps cut his annual energy bills by almost £900. After realising how simple it was to switch, he then went onto move his home and car insurance providers, saving a further £354.50 in total, including £128.40 in cashback. This lead to a total saving of £1,214.50 in just over a year, for something Mr Ready at first had put off because he thought it would be too much hassle. Ofgem records how many households switch their energy supply per year, and last year 5.1million electricity consumers and 4.1million gas consumers switched. This is the highest number for almost a decade and while it’s positive more people are switching, this is still a very small percentage of the overall number of households. It’s estimated there are around 27.8million electricity customers and 21million gas customers, in the UK so only a fifth of those switched last year. Consumers are also starting to move away from the Big Six suppliers and this week it was reported that Centrica, the owner of British Gas, has continued to lose customers to rivals. In an update to investors it said it had lost 110,000 accounts in the first three months of 2018 but claimed these losses were less marked than last year’s. One reason for the exodus is rising bills. Energy prices have risen across the board in the past year, and all of the Big Six energy providers have upped their prices. 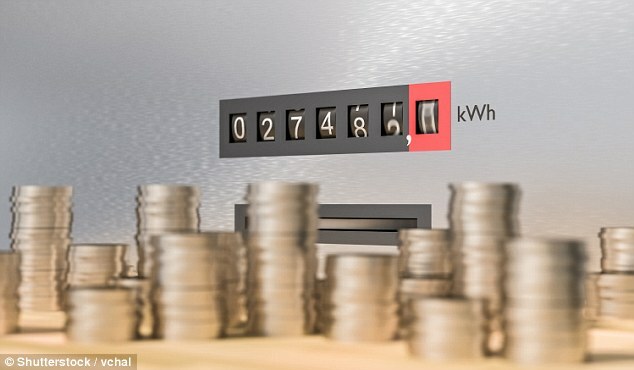 Some, such as British Gas, EDF, Npower and Scottish Power have recently confirmed further price hikes for those with a standard variable tariff. These are typically the most expensive tariffs available and significantly more than the cheapest tariffs on the market. For example, the average cost of a bill for a customer with a Standard Variable Tariff from the Big Six is £1,162, with the recent price hikes factored in. But compare this to £795 from the cheapest provider on the market, Utility Point. The table below shows the top 10 fixed-rate tariffs on the market, and the average savings of switching to one from one of the Big Six energy providers. More than a third of those who switched their energy supply last year did so from one of the Big Six suppliers. Smaller suppliers generally tend to offer cheaper tariffs and provide better value for money than the bigger providers – yet the majority of people still remain with one of the Big Six and their market share was 79 per cent for electricity and 78 per cent for gas in December 2017. Dermot Nolan, chief executive of Ofgem, said: ‘The largest suppliers are under pressure as more consumers switch away to small and medium sized suppliers. ‘With more customers voting with their feet, the message is clear: suppliers need look at what they are offering to their customers or risk losing them. While switching is the main way to cut your energy costs, as Chris did, there are other things you can do to cut your costs quickly. 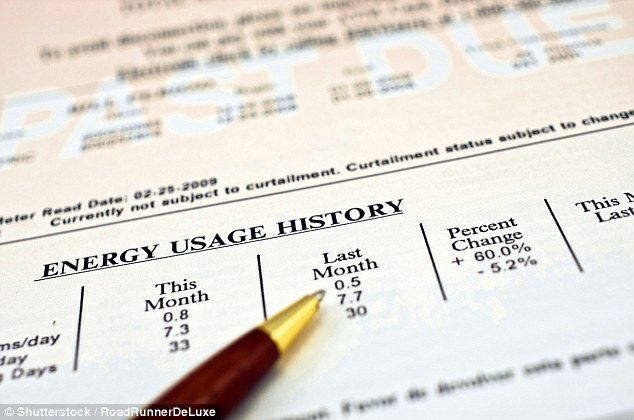 Here we’ve listed five of the easiest ways to cut your energy bills. 1. If you’re in credit to your supplier you can ask for the money back. Households paying via direct debit pay a set amount each month for their gas and electricity. But for some months of the year – usually when it’s warmer so during summer and spring – your energy account will be in credit. This is your money and it is possible, if you want the cash and the interest, to contact your supplier and ask for this to be transferred to you. 2. Cut your energy usage. It sounds simple enough but if you change the way you’re using your gas and electricity, and if you’re able to reduce your usage, your bills will go down. Small changes can make quite a big difference. If you turn your main central heating thermostat down by 1˚C, for example, you could typically save around £85 to £90 a year – if you live in a typical three-bedroom semi-detached house with gas central heating. 3. Paying via direct debit and using an online account could cut £10 or more off your annual bills. If you’re able to pay your energy bills via direct debit, so one fixed payment is made per month, this could be cheaper than other methods. Having an online account, and choosing paperless billing, can also cut your bills, often by around £10-20 per year. 4. You can still save money even if you don’t switch suppliers. While typically the biggest savings are still to be had by switching providers, if your current supplier is offering a cheaper tariff than the one you’re currently on, you could switch to it and cut your bills. To find out if you could save, contact your supplier and ask if what the cheapest tariff available is, if it’s less than your current deal then ask it if you can switch.